How to do best yoga for heart blockage? Heart blockage occurs due to the abnormal slow heartbeat. The delay or disruption along the electric signals which travels from the upper chambers (atria) to the lower chambers (ventricles) affects the heart rate and can stop heartbeat for a while further damaging heart health. Heart block is caused due to Arrhythmia which causes due to the effects of heartbeat numbers. The Yashoda Hospital Secunderabad doctor's from their experience says that Heart Blockage occurs due to complications in the system. It affects the heartbeat number and leads to irregular pulses produced by the heartbeat. Some people are born with heart blockages and others produced in their lifetime. First Degree: In this, the heartbeat signals are monitored as they slow down the electric signals. The first-degree heart block may not require any treatment. Second Degree: In this, the electric signal takes a large time lapse to move from atria and ventricles. This leads to a discontinuous flow of blood from vessels to all the parts of the body and partially blocks heart. Third Degree: In this, there would be no flow of electric signals to the ventricles and completely forms heart blockage by stopping blood flow to the lungs and other body parts. Heart Specialist says that sudden third-degree heart blockage or complete heart block (CHB) leads to a heart attack or other heart diseases. First Degree: First-degree heart blockage doesn't have any symptoms. Second Degree and Third Degree: Fizziness, fatigue, fainting, breathing problems, chest pain. Diagnosis: These diagnosis methods are followed by the Cardiologist. EKG (Electrocardiogram) is the name of the process generally doctors use to diagnose heart blockage. It examines how the heart is beating and the proper workflow of the functionality. It also checks the pulse rate of the heartbeat and stores the data. 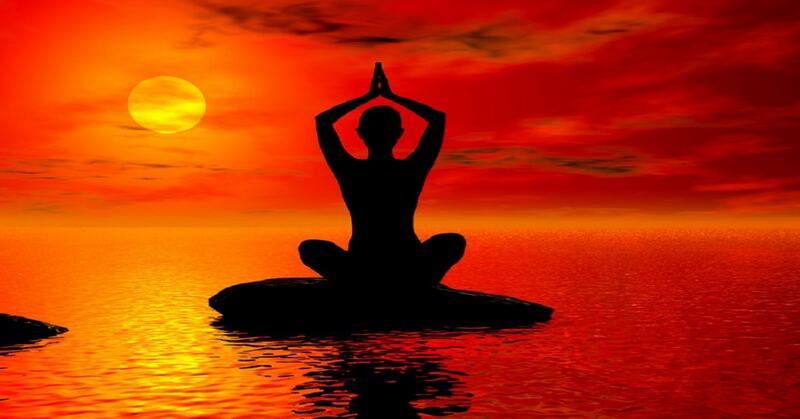 Yoga plays a prominent role in ancient Indian history. Yoga not only cures physical diseases but also cures mental illness. Yoga is performed to keep both mind and body stable for years. Yoga treats many dreadful diseases without any sort of hospital treatments or surgery. Do you know Yoga could boost your health! Try these best yoga for heart blockage through this article and prevent yourself from any sort of heart diseases. History of yoga is as old as Indian History. It is 5000+ years old body of knowledge from India. Generally, people follow and practice yoga to strengthen their spiritual and physical capabilities. Yoga is performed around the universe to maintain our physical and emotional parts stable. Nadi shodhana pranayama: It is a process of Alternative Breathings with the nose. This yoga asana helps in releases stress, detoxifies the body and purifies oxygen in the body. Process: Keep your middle finger on left nose and close it. Now, inhale with a right nose. Change fingers and perform this asana vise- versa at least for 15 min every day. Brahmi Pranayama: It is usually called as Bee Breathing Technique. It helps in relaxation, releases anxiety and anger from the body. It also controls mental stress. Process: Sit properly, place your index finger on both the ears and close them. Now start chanting OM loudly with inhale and exhale of breath. Do this exercise at least for 10 min a day. Ardha Matsyendrasana: It is also known as half spinal twist. It cures all the spinal and nerve diseases and improves internal system functionality. Process: Sit on the floor, Place your left leg across the right leg and twist our spine towards your left totally. Stay in the same position for 2-3 min every day. Sukh Purvak Pranayama: It is a type of breathing exercise. It is a simple breathing exercise in which one should inhale and exhale their breath using alternative nostrils. This helps in proper blood flow within the body and manages a heartbeat. Process: Inhale from one nostril close the other with fingers and repeat it vise-versa. This should be followed by 10 min per day. Salamba Bhujangasana: This is a type of Sphinx pose. This will treat spinal, neck, abdomen and chest diseases. It stretches out the body and relaxes muscles. Process: In this asana, sleep on your abdomen and raise your body up to your chest towards upper direction without lifting below abdomen part up. Repeat this for 10 times daily. According to the Cardiologist, these yoga mudras will keep heart healthy and prevent heart blockages. Along with the above-listed yoga asana's follow these Mudras for a healthy heart. Sit on the floor using a mat. Never sit directly on the floor. Always sit in Padmasana or lotus pose while working on these mudras. Stretch your hands and retain them on your thighs. Now, keep your palms facing upward direction i.e., towards the ceiling. Keeps your eyes closed all the time while performing these mudras. Concentrate on breathing to not misguide your brain. Give prior importance to sit in peaceful space. While implementing these Mudra's you must inhale and exhale slowly and continuously. Now stay in these mudras for as long as you want. There is no time limit for them. It effectively works if each mudra is continued for a minimum of 15 min per day. Chant OM if possible while inhaling and exhaling. So, here is the list of Mudra's which cures and prevents heart diseases. 1.Gyaan Mudra: Join Index finger with the tips of thumb finger. Keep rest of the fingers stating towards the roof. 2.Apana Vayu Mudra: Join tips of a middle finger, thumb finger, ring finger and place the index finger on the base of thumb finger. Let other fingers be straight. Prevents from severe chest pain. 3.Vyaan Mudra: Join Middle finger with index finger and tips of thumb finger. Keep rest fingers stay straight showing upwards. 4.Prana Mudra: Join tips of the small finger, thumb finger and ring finger and leave rest of the fingers. 5.Surya Mudra: Join ring finger to the base of the thumb and fold the thumb. Let others finger do not touch these fingers. 6.Akasha Mudra: Join middle finger with thumb fingertips. Keep remaining fingers straight without touching other fingers. 7.Linga Mudra: Intertwine both hands finger. Now let left-hand thumb face ceiling and encircle it with right-hand thumb and index finger. Leave other fingers and keep straight. 8.Ganesha Mudra: Keep your both arms near to chest, hold both the palms opposite to each other with fingers. Shift hand positions and continue for at least 10 times a day. These mudras will play a prominent role in a proper functionality of heart, keeps heart healthy, it acts as a lifesaver if these are followed for a long period of time. Regular exercises will definitely show a difference in the body positively. Strengthen ones physical and emotional capabilities much stronger. Along with yoga and mudra's, it's better to add general exercises to your daily routine. General exercises such as running, jogging, walking, skipping, gym and meditation will also lead to a healthy heart and a healthy life. These all exercises will help in making our body fit and healthy. Long-term exercises will prevent the roots of any diseases in the body. 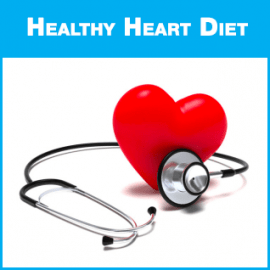 Treatment and medication are very necessary if someone is suffering from heart problems. Here is the list of diagnosis, testing procedures other details about heart blockage. Cardiologist: Specialized in heart diseases treatment. Neurologist: Expert in nerve system diagnosis. Vascular Specialist: Experienced in blood vessels treatment. When the heart is in worse condition or out of diagnosis state these surgeries are performed depending upon the heart diseases. Here is the list of few heart surgeries generally performed. Angioplasty: It is a procedure to open blocked or narrow heart arteries. Coronary artery bypass grafting (CABG) or bypass Surgery: Creates new passage for blood flow in the heart vessels. Artificial Heart Valve Surgery: It replaces diseased, abnormal heart valve with the healthy new valve. Cardiomyoplasty: Adding muscle to heart taken from the abdomen or patient's back which leads to a regular flow of heart pumping. Heart Transplant: Replacing diseased or weak heart with the healthy heart of other's person. Minimal Invasive Heart Surgery: Allows blood flow from the blocked area in the heart and clears blockages. Improves blood and oxygen flow to the body. Radiofrequency Ablation: Controls a rapid or fast heartbeat and manages heart functionality. Along with yoga and mudra's follow these home remedies to keep heart strong and healthy and prevent from all types of heart diseases. 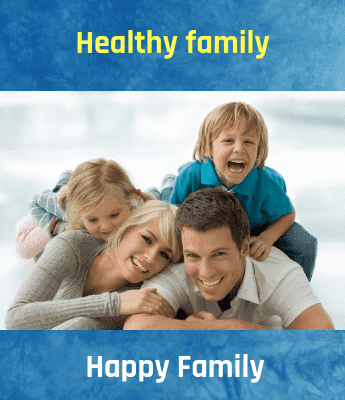 These tips followed for a minimum of 3 months will surely show positive results in leading a healthy life. Apple cider vinegar: It removes toxins and waste materials from the body. Improves calcium, vitamins, minerals in the body and increases blood flow in the heart. Add garlic, lemon and ginger juice to apple cider vinegar and drink every morning. Garlic: Add garlic powder in meals, milk or warm water. Add apple cider vinegar and garlic and drink daily. Eat 4-5 pieces of fresh raw garlic each day. It reduces bad cholesterol, decreases the risks of heart attack, chest pain, heart stroke and other heart-related diseases. Lemon: It is rich in vitamin c. It prevents heart diseases and removes all the toxins and waste cholesterol from the heart. Manages regular blood flow in the heart. Mix lemon in meals as much as possible. Add in juices, salads, soups, etc. Lemon tea is also very good food for health. Ginger: It contains compounds like shogaols, gingerols which has man heart benefits. It has the capacity to clean and increase the plaques without bad cholesterol. Add minimum 2-3 pieces of ginger in food, tea, juices, salads, sprouts or eat raw ginger directly. Turmeric: It contains curcumin which has anti-oxidant and anti-inflammation properties which helps in preventing a blood clot in heart vessels. Add turmeric in regular food, mix one tablespoon of turmeric and honey in a glass of warm water and drink everyday morning with empty stomach. Honey: Mix honey in water, salads, fruits, juices, soups and consume on regular basis. Its special properties will help in managing proper blood flow in the heart and control heart damage. Try to consume pure, organic honey. Fish: Fish such as salmon, tuna, sardines, etc. will help in clearing heart blockages. Try to consume 2-3 times per week to reduce the causes of heart attacks and other heart diseases. It also increases blood in the body. Fenugreek seeds: It has compounds like saponins which reduces the cause of heart blockage, controls diabetes, and manages high blood pressure. Add these seeds to food. Soak these fenugreek seeds overnight in a cup of water and drink it on empty stomach. Flax seeds: It contains alpha-linolenic acid (ALA) which control blood pressure and high inflammation. Consuming 3-4 spoons of flax seeds will clean blockages in the heart. Sesame seeds: It is very less known super food. Eat one tablespoon of sesame seeds every day. It helps in preventing the progression of heart diseases. Red yeast rice: Instead of regular rice, skip to this red yeast rice which contains natural monacolins that are used to control risk factors for heart attacks and strokes. It is very rich in minerals and calcium. Dark chocolate: Many studies proved that eat one dark chocolate every day will increase the lifetime of the heart and makes it stronger. Skip from normal chocolates to dark chocolates. Eat in limited quantity or else it may also have side effects. Olive Oil: It is rich in monosaturated acid which is a fatty acid. It positively affects the body, manages stress and controls the overall functioning of the body. Skip vegetable oil and choose olive oil in food preparation. Green Tea: It without excess sugar is always good for health. It contains a high amount of minerals which removes bad toxins and cholesterol from the body. It improves blood flow and heartbeat. Fruits: Consume fresh fruits like pomegranate, watermelon, banana, guava, apple, etc. These are rich in vitamins, minerals, proteins which provide enough energy to the body. These keep the body fit and healthy physically and mentally. Eat at least a fruit every day. Vegetables: Always adopt fresh organic vegetables. These will prevent the cause of many diseases including heart diseases. All the vegetable when eaten in limit will keep body and heart fit and healthy all the time. Green Leafy vegetables: Green leafy vegetables have fiber, potassium and other minerals which clean oxidant properties from the body. It supplies enough amounts of all the properties to the body. Juices: Adopt to drink fresh fruit, vegetable juices without excess or added sugar or other flavors to it. If needed add lemon, garlic or other food items to it and drink. Drink one juice per day. Whole Grains: Change your preferences from bleached carbohydrates to whole grains. It improves heart health in all the possible ways. Whole grains such as oats, brown bread, brown rice, quinoa are very good diet food and has many amazing health benefits to the overall body. Avoid junk food, fried foods. Limit usage of excess oils in the preparation of foods. Increase vitamin, protein, calcium, minerals containing food quantity in a day to day life. Start eating dry fruits, nuts, and others every day. Never avoid food at any time. Eat at least very less quantity. Never skip yoga or exercises. Choose home remedies with readymade items. Always eat organic, fresh, natural food. All these exercises not only help heart blocks but also cures many heart diseases. Yoga is the best exercise to get rid of any sort of disease. If yoga is practiced daily body becomes fit and healthy. It not only gives physical fitness but also provides mental stability, increases positive thinking, improves confidence and changes the way we look at the life. consult expert hospitals nearby you for example the maxcure hospital madhapur to get proper treatment. Do Yoga! Stay Healthy! Be fit! Keep away diseases!